View More In Kits - Page 5. What could be nicer than handing over a handmade present - lovingly wrapped and beautifully decorated? 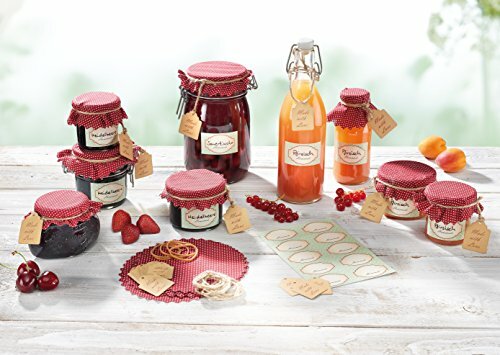 the Leifheit preserving Deco set offers you one set with all you need to transform homemade jam into a delightful present. 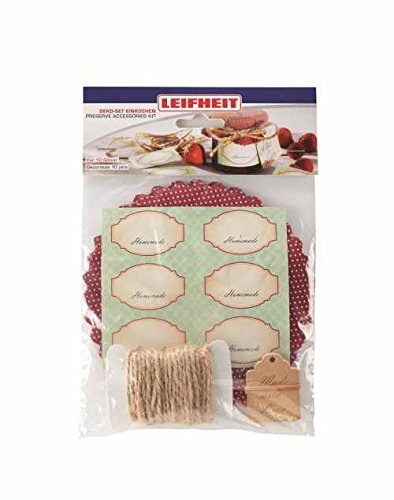 A self-adhesive decorative label stylishly presents the contents - and can be removed with no residue. A greeting card offers space for a personal greeting or Congratulations to the lucky recipient. 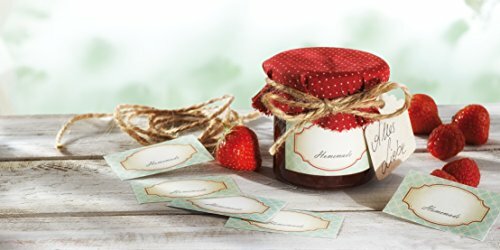 The lid of the jar vanishes under a pretty polka dot cover that is fixed in place with a transparent elastic band and then decorated with a cord made entirely from natural fibers. There's no more affectionate way to give out handmade presents. 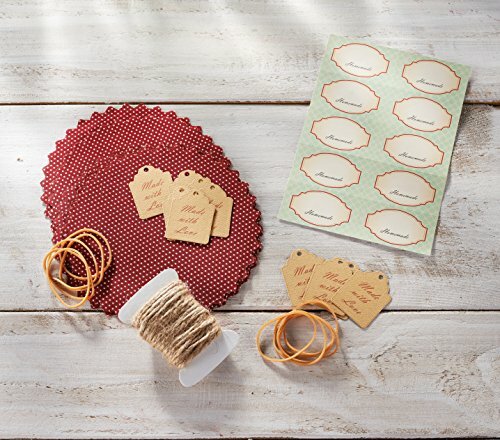 The decorative set contains 10 self-adhesive labels, 10 greeting cards, 10 cotton covers with crimped edge, 10 rubber closures and 1 natural fiber cord for trimming.